The change from long summer days to shorter, colder ones can sometimes affect how we feel. And while it’s true that many of us find the holiday season to be a joyful time, the drop in temperatures and reduced daylight can bring on darker feelings as well. These changes can even lead to a type of seasonal depression known as seasonal affective disorder (SAD). During the late fall and winter months, be on the alert for any signs of depression that may be apparent in your senior loved ones. According to the Mayo Clinic, seasonal affective disorder occurs more often in women than it does in men, but men’s symptoms are often more severe. Rather than dismissing these signs as simply the winter blues, note that SAD can cause older adults to sink into depression, experience a reduced energy level and increased moodiness. Lost weight: Does the senior appear to be noticeably thinner? Appearance: Has the older person’s overall appearance changed in any way? Home environment: Is your loved one’s home being well maintained? Any significant changes in how things are managed around the home could indicate a health concern. Mood/behavior: Are there any apparent behavioral changes? Does the older adult seem to be agitated or forgetful? Is he/she able to move around the home easily or is more assistance required with ambulation? These types of changes could indicate that care may be needed at home. If you pick up on any of these signs, contact the senior’s primary care physician, and begin to consider a plan of care to help. In addition to seasonal depression, older adults who suffer from arthritis may also feel an increase in pain due to lessened physical activity, according to a Northwestern Medicine study. To reduce pain levels, federal guidelines recommend that older adults with arthritis engage in low-impact physical activities, such as walking. 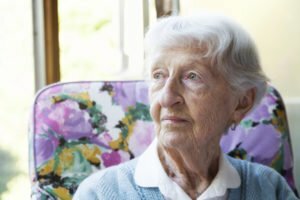 When a senior loved one starts to display these or any other warning signs, it may be time to consider professional in-home care for seniors. Hired Hands Homecare’s senior care team is trained and experienced in helping seniors with seasonal depression, and will create a personalized care plan to help keep seniors safe and well at home. Contact us at (866) 940-4343 to learn more.